Commercial property investment is frequently seen as both desirable but also more volatile than other property investment sectors. Commercial property covers shops, hotels offices, industrial warehouses – even funeral parlours or crematoriums can fall within this arena. Investors with long memories can doubtless remember as an asset class it was eviscerated in the 2008 financial crash dropping 44 per cent, but over 2013 and onwards, the area has delivered strong and consistent growth with investment returns over 10 percent. Certainly, investors are now looking, off the back of some years of good returns, at commercial property opportunities; property has always been a long-term investment decision. Which magazine points out the average lease length of residential property is between 6 to 18 months, commercial leases average around eight years. This clearly gives a more robust base for long-term investment returns and planning. One excellent reason to consider commercial property – especially when investing through a crowdfunded aggregator platform – is diversification. No sensible investor only invests in one share class so placing all your money in one form of property (ie residential in most cases) should be seen as equally unbalanced. Investors can consider investing directly into a fund that holds the actual commercial property on its portfolio or indirectly investing in property companies or developers that specialise in businesses. 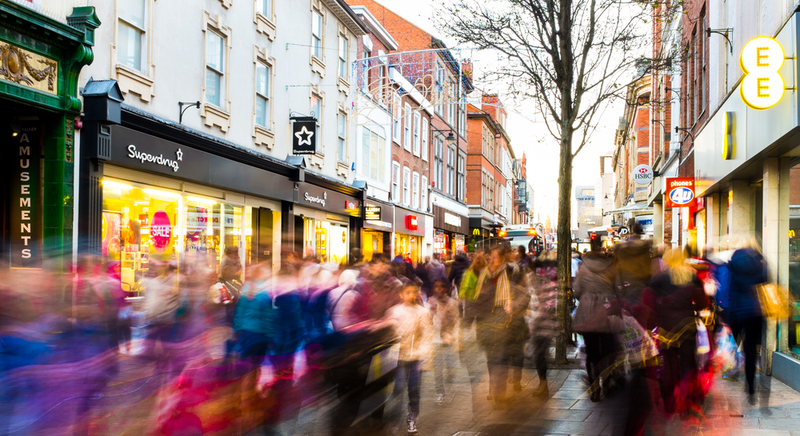 With shopping habits changing and the never-ending Mary Portas-esque driven debate on the future of the traditional high street, other non-standard commercial opportunities are worth considering. What will people continue to need even if more old-fashioned shop sites struggle? Hotels, care homes, private medical services, garages/ storage and out of town car parks are all potential areas over the coming years the sharp-eyed investor needs to keep an eye on. With a property crowdfunding site such as Brickowner, even within commercial property, there is the possibility to diversify again within your investment tracking, for example, the hospitality or care sectors. Whilst as a crowdfunded property investor all of the day to day issues and problems are dealt with (as opposed to being the sole landlord), it is worth considering that many investors see commercial property as a much less emotional investment – it looks after itself, wear and tear is less and there is (see above) less tenant churn; you are not responsible for looking after someone’s home. As with residential crowdfunded investment, you have the advantage of being able to invest around the country, taking into account and benefitting from regional trends and fluctuations. There are downsides to commercial property; it is clearly difficult to sell in times of economic turmoil and ensuring the location and management of your selected commercial property is right is critical as commercial property can fluctuate very quickly. Diversifying into commercial property though and its differing sectors allows the investor to reduce exposure to slack periods; rather like investing in an HMO in the residential arena, problems with business rent or dividends can be mitigated by spreading the risk over primary, secondary or non-standard sites in different geographical parts of the country.